How would your life and business change if you could trust everyone around you completely and they fully trusted you? Businesses that move quickly are able to do so because they have created a high degree of trust inside their organizations. 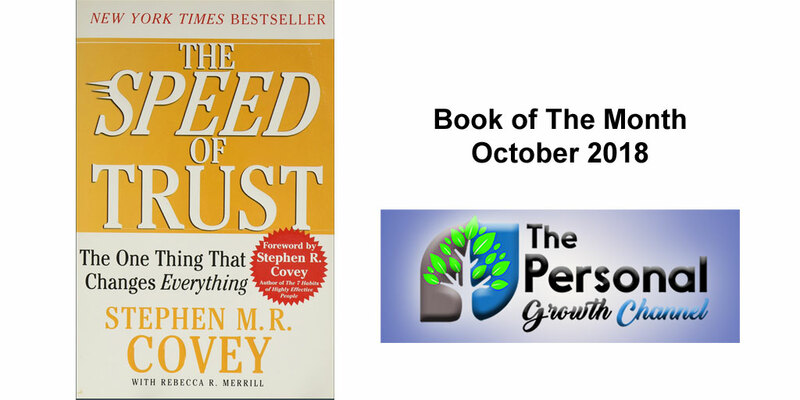 This month's personal development book of the month, The Speed of Trust: The One Thing That Changes Everything, dives into how to create a culture of trust at work or at home. Learn how to quickly build trust with others, and even how to rebuild trust once it has been broken. We often take this topic for granted thinking that you either trust someone or you don't, and they either trust you or they don't, but this book takes it to a new level by examining the underlying elements that create or destroy trust. Enjoy!